Male Northern Flicker. Photographer Karen McQuade. Copyright, all rights reserved. All photographs unless otherwise attributed are taken by Karen McQuade and are under copyright. It's eye catching. You see a sudden flash of reddish wings and tail as a bird the size of a pigeon but a bit more svelte flies away into the trees. The Northern Flicker is the largest woodpecker in Orange County, and one of the largest woodpeckers in North America. Only the Pileated Woodpecker which is not found in Orange County is larger. The Northern Flicker in the picture above didn't expect me. I, on the other hand, had seen a few salmon flashes in the distance as I headed over, and so I did expect him. The male on the tree trunk above was very close to the ground. Like many woodpeckers if there is no threat nearby, they will often start checking for insects and other edibles at the base of the tree. All male red-shafted Northern Flickers have red mustaches like the one pictured above. The Northern Flicker above has no red mustache and is a female. She is feeding on insects, spiders, and any creepy crawler that peaks her interest. Ground feeding is common for Northern Flickers. 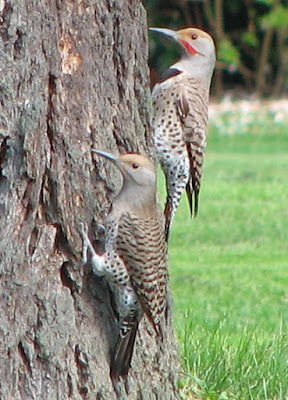 The first time I ever saw a Northern Flicker was very early in the morning at Descanso Gardens on a fairly isolated lawn. So remember to watch ahead of you as you cross a lawn. Lots of very interesting birds are overlooked and dismissed as something more common until they fly up in front of the surprised birder. The Northern Flicker has two subspecies: The Red-shafted found in the western United States and the Yellow-shafted found in the east. In Orange County, we do rarely see Red-shafted/Yellow-shafted hybrids or an occasional Yellow Shafted Flicker. If it is not seen in flight, the most obvious field mark is the black rather than red mustache on the male. in flight, the yellow wing linings and yellow on the tail are the most obvious field mark or the red on the back of the head. Our Red-shafted Flickers have no red on the back of their head. The Northern Flicker we almost always see is the Red-shafted. 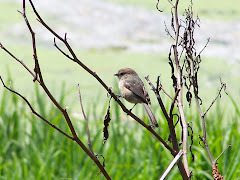 Its wing linings and undertail coverts are salmon colored. In the picture above, the salmon color can be seen just a bit on the edges of the wingtips. Female Northern Flicker, red-shafted. 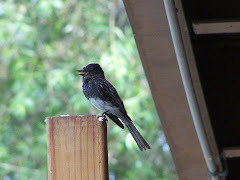 Notice the white rump is visible. Northern Flickers have white rumps, but usually the white is not visible. In the picture above, you can see the white rump. And though Birds of North America says they are primarily a ground feeding bird, I mostly see them in the trees in Orange County parks. And that may be because there are so many people around in the parks. Above we can see the a female Northern Flicker from the front. 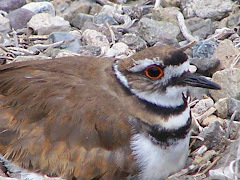 Like the male, she has a large, black wedge or bib on her chest just below the throat. The female has no red mustache. I took this photo through the fence. She was actually on the lawn at the golf course adjoining Mile Square Regional Park. The golf course attracts a lot of interesting birds. 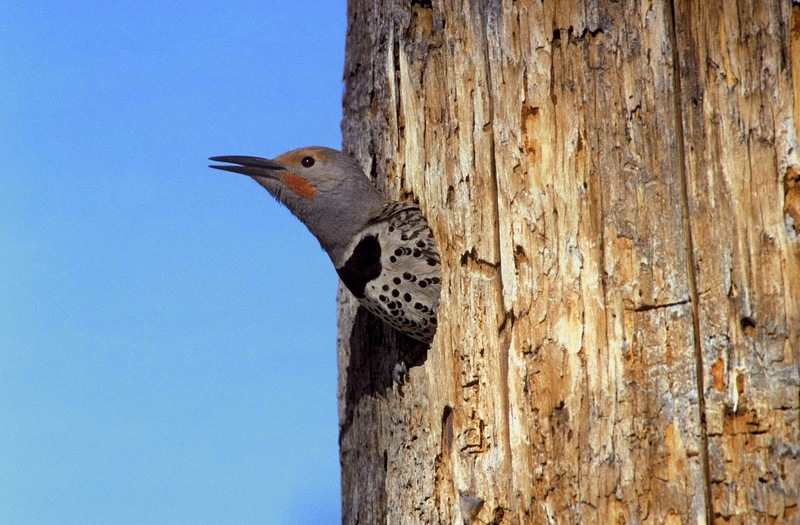 Like many woodpeckers, Northern Flickers are cavity nesters. They excavate a nest in a dead or diseased tree, buy will also use utility posts. They will use nest boxes. Check out the nestbox specifications on Nest Watch here. Northern Flickers are especially fond of ants. Orange County is a cornucopia of ants. We are a perfect match. Lawns with their short grass are places to forage for their favorite food--insects. Seeds and fruit round out their diet. I have noticed that occasionally I do see groups of male and female Northern Flickers together and not just individuals or pairs or individuals. Sometimes the first thing that draws my attention is the call. 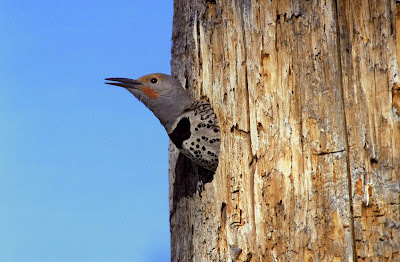 Northern Flickers like many woodpeckers are loud birds. Check one of their longer calls on Lark Wire and on All About Birds here. I often hear their Kyeer call. It may be hard to identify if you are not familiar with it. It almost can sound a wee bit hawkish. Another call is the wik, wik, wik call. Quite loud and very hard to miss. Has a similar quality to the Acorn Woodpecker without sounding exactly like it. One of the best skills to develop if you are a birder is listening. If you know what you are hearing, you know at least some of the birds that are present. 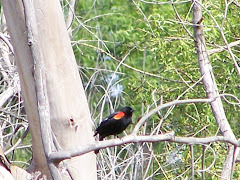 Sea and Sage has some birding by ear classes taught by experienced birder and teacher Sylvia Gallagher. Become familiar with the habits, habitat, and diet of birds you want to see. Then look where they are most likely to be found. Know what to expect where you are birding, but be prepared for anything. You may notice that there is a reduced number of Northern Flickers in Orange County from late-spring to summer. Northern Flickers do migrate. Some do leave California entirely, but many travel to higher elevations within California. By fall, the Northern Flickers have returned to Orange County. Northern Flickers are great birds to observe. As with all woodpecker, look along the trunk of the tree as well as the branches. 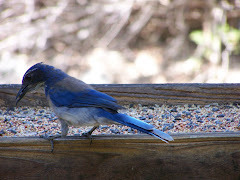 Don't forget that they are ground feeders as well, and take a good look at the birds feeding on the ground. You may get lucky and find a Northern Flicker feeding on the lawn at your local park. Enjoy birding in Orange County, and listen and look for our largest woodpecker, the Northern Flicker. Where can you see Northern Flickers in Orange County? 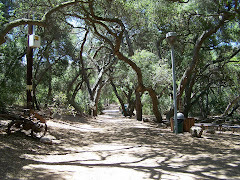 Many of the Regional Parks including Mile Square Park, Laguna Niguel Regional Park, Irvine Regional Park, Carbon Canyon Regional Park, Santiago Oaks Regional Park. Fairview Park in Costa Mesa down by the marsh. Where have Yellow-Shafted Northern Flickers been seen? Both Yellow-shafted and hybrid Yellow-and-Red-shafted flickers have popped up a few times a year in various areas all over Orange County in the last decade. They are still rare. If you think you see one, all the details of where and when, and the field marks and report it to ebird and Orange County Birding. Document, document, document. Write the details, take pictures or video if you can. Do this with any rarity so that others can try to verify your findings and perhaps gather more information. Remember, there is no disrespect in this. The best of us make errors, and science is all about documenting and duplicating findings. Sound library. Northern Flicker calls. Videos taken by many individuals of the red-shafted and yellow-shafted Northern Flicker.